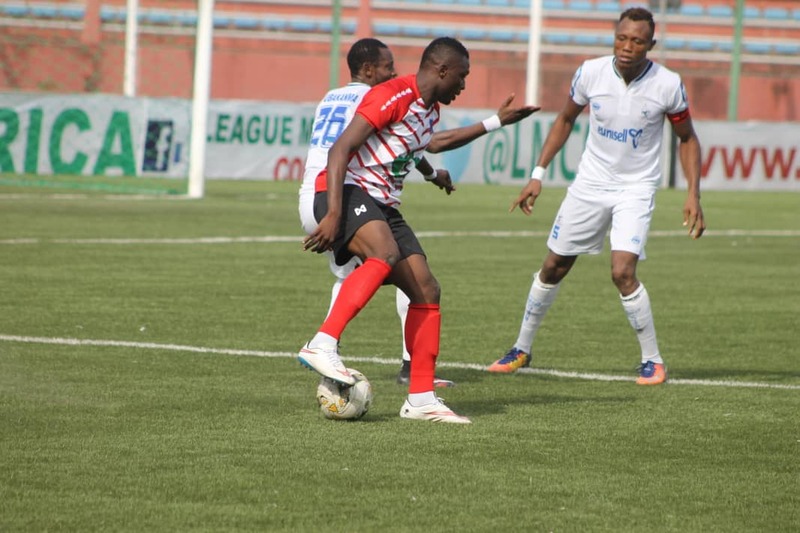 Lobis Stars coach Solomon Ogbeide has said the experience garnered by the Makurdi-based side in the CAF Champions League this season was crucial in their 2-1 win against Rivers United in a re-arranged Nigeria Professional Football League (NPFL) tie on Wednesday. Sikiru Alimi and Michael Stephen scored for Lobi, who were eliminated from the CAF Champions League from the Group stage at the weekend, while Cletus Emotan pulled one back for Stanley Eguma’s men at the Aper Aku stadium in Markurdi. The result moved Lobi Stars to 3rd spot in Group A of the abridged NPFL season with 14 points from 7 matches (with 4 outstanding games). After the match, Ogbeide equally praised Rivers United, describing the Port Harcourt-based club as a ‘very tactical side’. “We played, we won,” the former Warri Wolves coach said. “The side we played are not a bad side. We knew we were going to play against a very tactical side, and we prepared too. Despite a 2-0 win against Ivorian giants ASEC Mimosas on Saturday in Enugu, Lobi Stars failed to advance to the quarterfinals of the CAF Champions League.